Courtesy of PLACIDO BAYOU REALTY INC.
Our Parade of Homes winning Model Home is available to find a loving owner. This former Model home, never lived in is fully furnished. Most desirable lot in The Eagles subdivision. Large Lakeview and Golf Course view. Move-in ready. Bring your toothbrush! Located within The Eagles Golf & Country Club Community recreation and entertainment are going hand in hand. It is country living with a touch of city. With Tampa near by gives convenient shopping and entertainment. This outstanding Home is featuring many extras include a Library on the first floor. Complete furnished and ready to move-in equals worry free moving. Spacious floor plan with crown molding. Relaxing back-yard view with matured foliage and a lake. Click on Virtual Tour and you can view the house and visualize you living there. 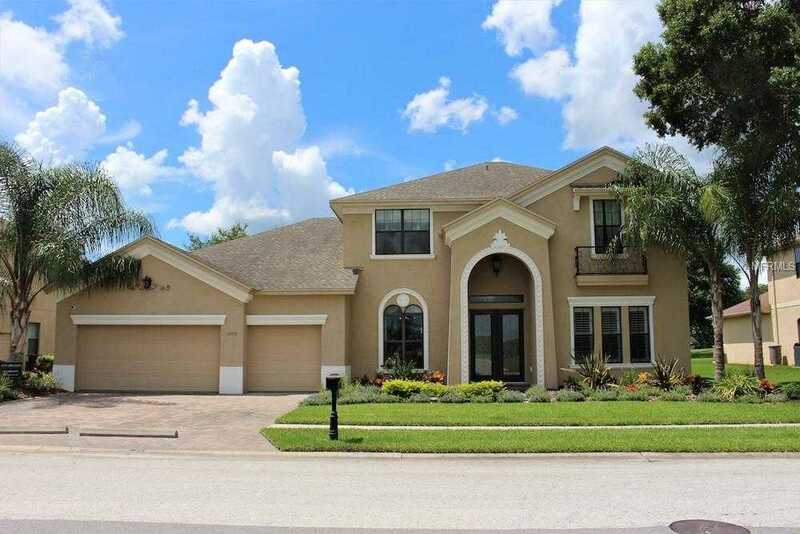 Please, send me more information on this property: MLS# U8022982 – $725,000 – 12410 Eagles Entry Dr, Odessa, FL 33556. I would like to schedule a showing appointment for this property: MLS# U8022982 – $725,000 – 12410 Eagles Entry Dr, Odessa, FL 33556.